CRPG veterans, Obsidian Entertainment, will now be assisting Red Eagle Entertainment on the development of games set in the universe of Robert Jordan's Wheel of Time series of fantasy novels. Obsidian Entertainment is comprised of some of the designers who made Baldur's Gate and Fallout while at Black Isle. Since it formed after the collapse of Black Isle in 2003, Obsidian has specialized in RPG sequels like Knights of the Old Republic 2 and Neverwinter Nights 2, and is currently working on Fallout: New Vegas. Red Eagle formed in 2008 expressly to exploit the license to the Wheel of Time series with games and films. The deal struck between Obsidian and Red Eagle was meant ensure that the games come to fruition by having an experienced third-party developer to support them while reducing overall costs. Red Eagle plans to create games for the PC, the Xbox 360 and the PS3, but there are no firm plans announced about dates or specific stories that will be told. 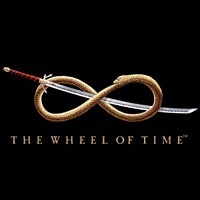 There is also an MMOG set in the Wheel of Time universe planned. "Although Red Eagle Games is both a game producer and publisher," said Red Eagle COO Larry Mondragon. "As a new company, we quickly recognized that we could benefit from supplementing small in-house technical and creative teams with a proven third-party developer." The creative director at Obsidian concurs. "Games set in Robert Jordan's universe have the chance to deliver on the epic storylines and the complex characters that the series is known for - and this is one of Obsidian's strengths," said Obsidian chief creative officer, Chris Avellone. "It's a natural fit." Although Robert Jordan passed away in 2007, his legacy continues to grow. His huge fantasy work, currently at over 10,000 pages, was unfortunately unable to be completed in his lifetime. Brandon Sanderson was hand-picked by Jordan's estate to complete the story based on the late author's extensive notes and drafts. The first book Sanderson completed in the series was published last year and is called The Gathering Storm. Two more novels are planned to finish the epic fantasy story. I'm currently working my way through The Gathering Storm, having been a fan of the series ever since a gamer buddy told me that I had to start reading it back in the 90s. To say that I'm excited about a game set in the story is an understatement. To say that I'm happy that Obsidian was tapped to help make them, well it feels like I'm embracing the One Power. I better stop or I'll start pulling my braids and scowling.